Luca Curci talks with Kamleh As’ad during BODIES – SURFACES FESTIVAL 2018. 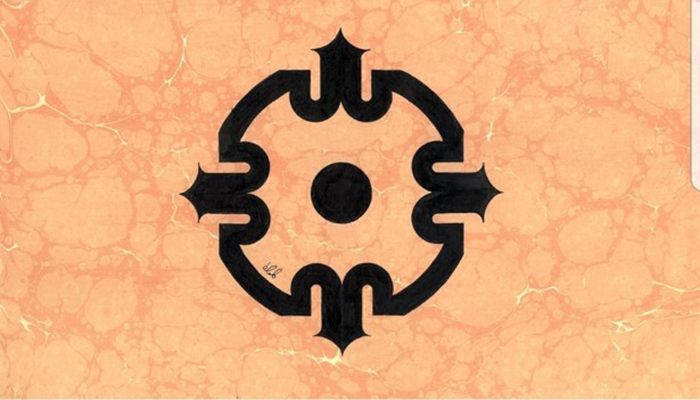 Kamleh is a Jordanian electronics engineer who after graduation, in 2004, started learning various arts. 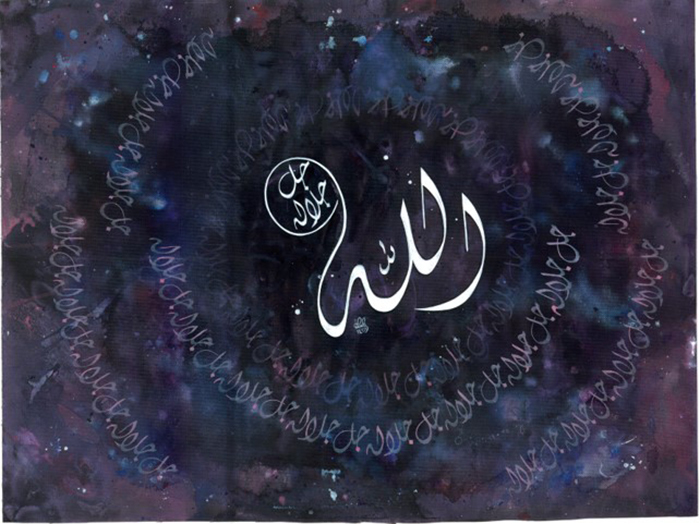 He has learned variety of different courses of arts, until he found his passion in Arabic calligraphy. He has partecipated in two exhibitions in 2017 and he hopes to have his exhibitions. Kamleh As’ad – My field of study was in communication & electronic engineering but my interest was always in art. 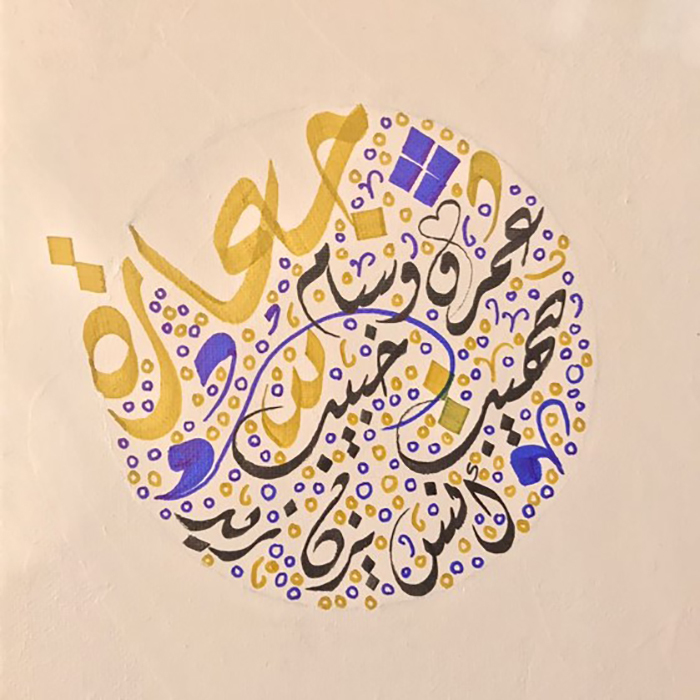 3 years ago I started with drawing trying different mediums until I found my passion in Arabic calligraphy, I was attracted to its uniqueness and its flexibility to create beautiful and creative compositions. 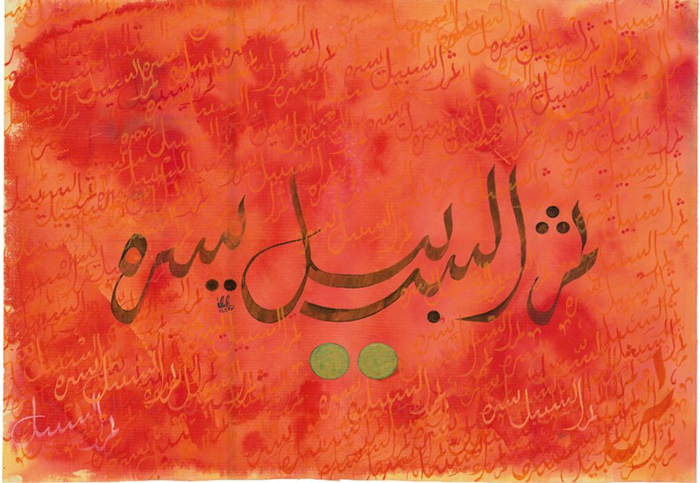 I was most influenced by the art and words of my calligrapher teacher Mohammed Mandi. I liked mostly how he combined calligraphy with portraits. And his advice words to remember that becoming a calligrapher you need to always “love, tolerate and persist”. L.C. – How do you find creative inspiration? K.A. 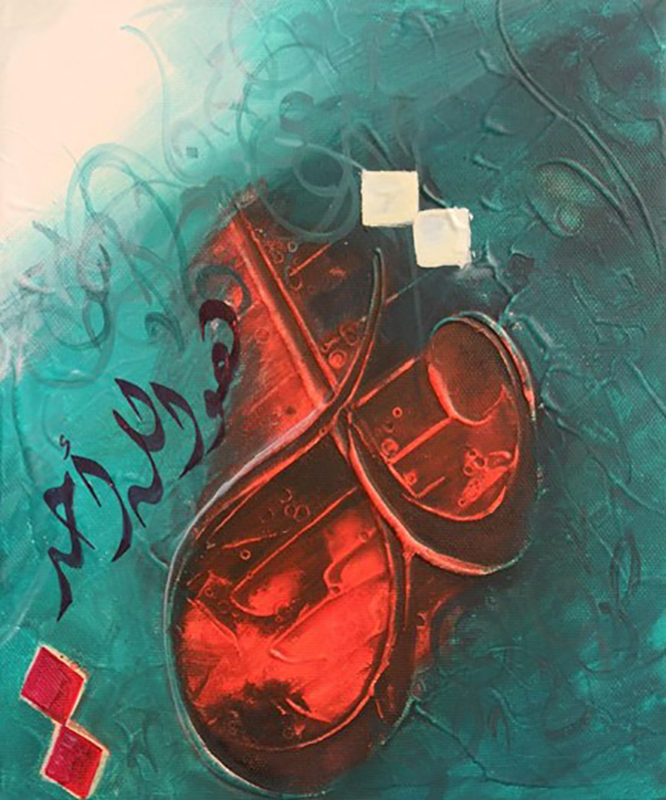 – After 3 years of learning and working in Arabic calligraphy, I can say that I see inspiration in everything, one of the main influences was my teacher career path and how he grew as an artist to become a really inspirational figure in the calligraphy and art industry. L.C. – What is the mosta challenging part about creating your artworks? K.A. 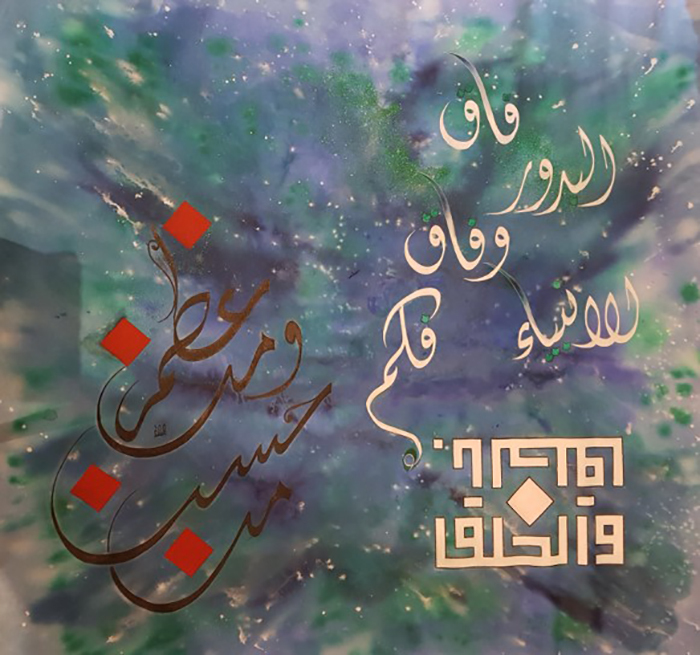 – Making Arabic calligraphy a creer for me was the most difficult part, beacause I am trying to make calligraphy unique in a way no one did it before. K.A. 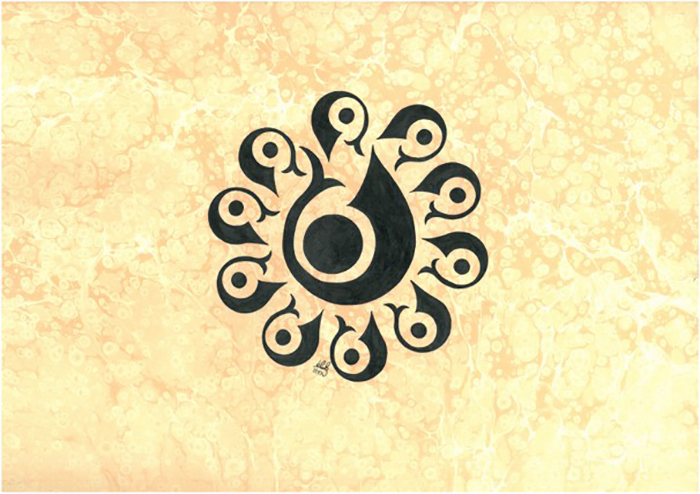 – Yes, for sure from traditional calligraphy to create a different designs using one letter. K.A. – My main focus today is in designing some Arabic letters in a unique and modern way in which we might think of letter as just a logo from the first look. K.A. – The visitor’s suggestions were very useful and positive for me to improve on my work, the most advice that I have received is to be more courageous,and no to be afraid to try new desgns. L.C. – How is being an artist nowadays? K.A. – Being an artist is just a wonderful thing. Nowadays it has become easier as an artist tomake people watch and comment on your works by the social media, it’s easier to reach and connect with anyone including clients, artists and influencers and interact with them. L.C. – What do you think about the concept of this festival? In which way did it inspire you? K.A. – It’s good to gather artists from all different culture in the same festival especially in the present time where conflicts are everywhere in the world, art makes everyone closer to each other as it is a universal langueage. L.C. – Do you think ITSLIQUID GROUP can represent an opportunity for artists? K.A. – Yes, by giving all the artists the same opportunity to go in the festival and let people from over the world present their works which makes us as artists more confident and give us more exposure.